This report is buried in a report about a drone attack on Russian bases in Syria, but there are some interesting details. The 30-foot long patrol boat, originally manufactured by the UAE-based company Al Fattan Ship Industry, was one of at least 60 donated by the UAE Coast Guard to the Yemeni Navy before the civil war kicked off in 2015. The boat’s control unit was connected to a remotely operated video camera and a Garmin GPS antenna, suggesting the operator was able to stream live footage of the boat’s progress during the attack, and was fitted with a Soviet-manufactured P-15 Termit anti-ship missile and shaped explosive charge. 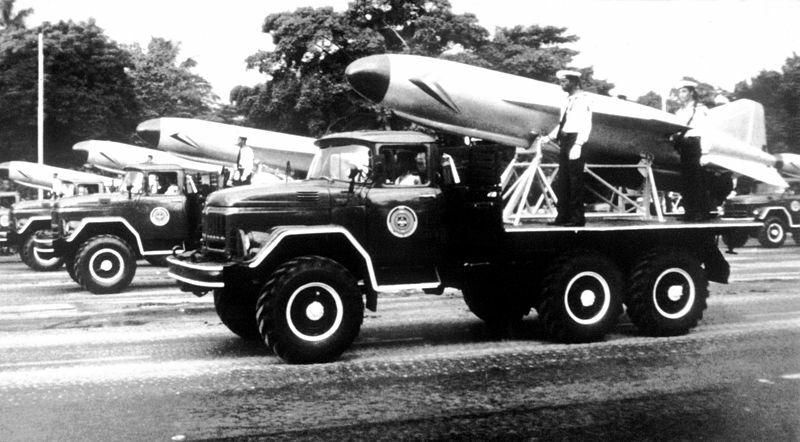 The P-15 Termit is another designation for the Styx, an early Soviet anti-ship missile. It is 5.8 m (19 ft) long and weighs 2,580 kg (5,690 lb). In countering the sUAV attack, the Russians used both hard and soft kill. The Pantsir-S reportedly use to shoot down seven of the drones is a short range, combined gun and missile, anti-air system. Six more were brought down by electronic counter-measures. According to the report, Putin said, “These aerial vehicles were disguised – I would like to stress that – as homemade. But it is obvious that some high-tech equipment was used,” Perhaps Putin is not aware, or simply refuses to acknowledge, how sophisticated hobby drone auto-pilots have become. All you need is Google Earth for targeting and you can set in way-points and altitudes and have it fly to any point within the range of the aircraft. This entry was posted in Terrorism, UAS, UAV, USV by Chuck Hill. Bookmark the permalink. After two Saudi flag tankers were attacked the Saudis have suspended use of the Bab-el-Mandeb Strait at the South end of the Red Sea, by Saudi flag ships, meaning they will not take the short route via the Suez to Europe.